One Ukrainian serviceman was killed and two wounded as a result of pro-Russian militant attacks' in Donbas, the press centre of the Joint Forces Operation HQ has said on Facebook. Militants carried out 10 attacks, including seven with the use of heavy weapons banned by the Minsk accords. They fired 59 bombs of 120-mm and 82-mm calibre. 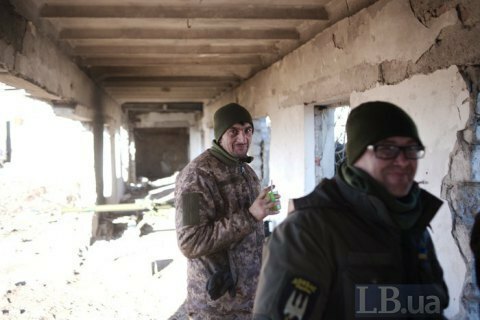 They opened fire near Shyrokyne, Vodyane, Lebedynske, Troyitske, Zolote-4 and Zaytseve, using antitank grenade launchers, infantry fighting vehicle guns and small arms. The Ukrainian army suppressed the fire.